Oxford University, one of the world’s finest institutions of higher education, has revealed some of the questions that students may face in upcoming admissions interviews. Would you be ready to answer the diverse, sometimes bizarre array of questions? Check out this article. 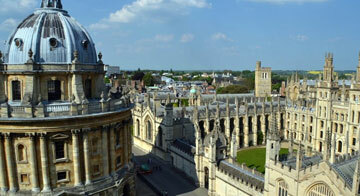 Oxford tutors, who interview prospective students, are keen on seeing how students respond to new ideas. Questions that students may have to tackle include “Should there be a cap on bankers’ bonuses?” The goal of the interviewer is not to stump the student interviewee. Rather, the interviewer hopes to give each student the opportunity to show their real ability and potential. The desired responses that the interviewers are looking for are interesting to read. How would you do in an interview at Oxford University? We would love to hear your comments below.